Or an outdoor summer barbecue. They will be the perfect 3 bite (one if you’re a dude) treat. Winter, spring, summer, or fall. They are more than appropriate! 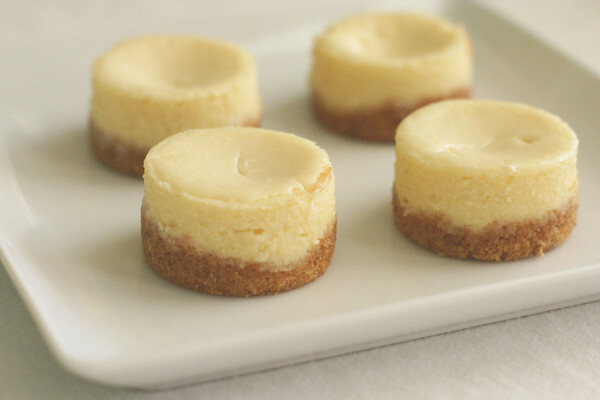 The key to making these darlings is having a mini cheesecake pan! The bottom is removable so you can push your mini dessert up without prying it with a knife and ruining the sides. 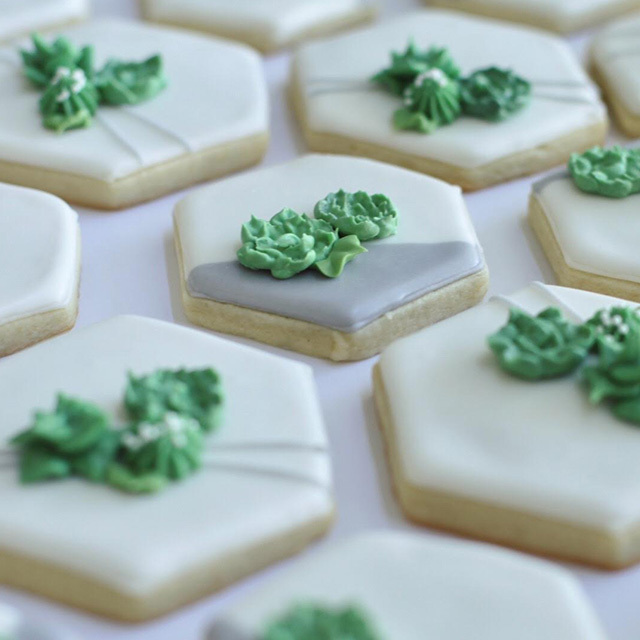 Yes, it takes an initial investment, but if you’re game for that, you will be able to make all sorts of bite sized creations. I have the norpro brand, but I have also used my friend’s chicago metallic brand pans and both work well. I have put a link to them in our brand new amazon store- A place where we will put direct links to our favorite products we use in relation to our projects. Check out our sidebar! I have tried 5 different cheesecake recipes in these pans now. All have been successfully transformed into minis. The best thing is that they bake for only 14 minutes (in my oven) as opposed to about an hour to bake a full cheesecake. (And no water bath to deal with). So when I asked friends and family for cheesecake opinions, I was surprised to find so many different opinions as to what makes the BEST cheesecake. Some prefer a dense, rich cheesecake. Some prefer a lighter taste with a fluffy texture. Some prefer a hint of almond ext., some were appalled by it. 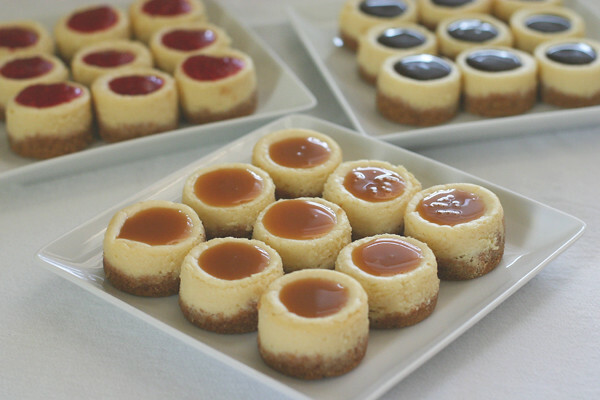 But all cheesecake tasters united in their opinion that you’ve got to go with a graham cracker crust. And I whole-heartedly agree with my friends. 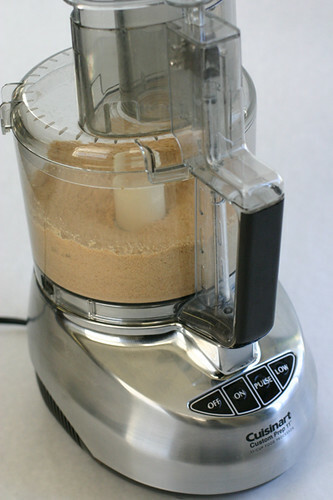 I make that graham cracker crust in a food processor- a purchase I have never regretted. I pulse 2 packages of honey maid graham crackers until they are crumbs. Then I add 1/4 tsp cinnamon and 1 T of sugar. I pulse that once, then add 1 stick (1/2 cup) of melted butter. After you portion out about 1 1/2 T in each well, you press it down and go a little higher on the sides. If you pack it down too much it will be kind of hard when you eat it. If you don’t pack it down enough, it won’t hold it’s shape when you take it out. So go somewhere in the middle with that. (I forgot to mention that you should spray the pan with pam first). Like I said, any cheesecake recipe will do. Use your favorite! I use an ice cream scoop to get even amounts in each pan. You fill them pretty close to the top. They don’t rise much. When they come out, you have to let them cool in the pan. Then you can push them right up. The tops of them don’t need to look perfect. In fact, that little well will make the perfect place to put your toppings. My favorite is raspberry or strawberry cheesecake. But chocolate and caramel are always a hit too. I’m not going to tell you what to do. It’s kind of like a mayo/miracle whip debate. You’ll go with what you love. 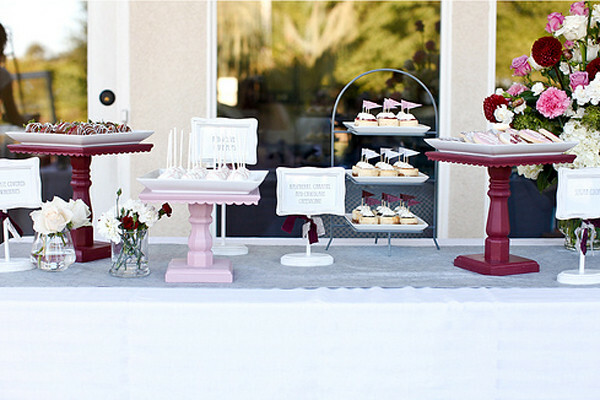 I love my little 3 tiered plate stand (world market) to display 3 different topping flavors. 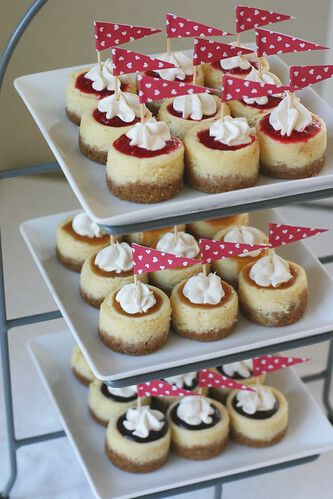 And I have an addiction to using paper flags in adorable mini desserts. It makes them even adorable-er! They are such a fun party food. Many times guests don’t have room for a whole, rich slice of cheesecake. 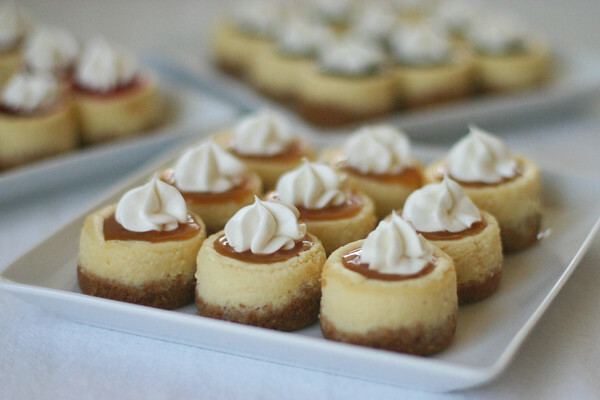 But a mini cheesecake gives them just a taste of heaven. And I was wondering if the smaller portion classifies these as a diet cheesecake? yummy! I made minis once but my pans are not as nice as yours, mine sort of have a weird shape to them. We want a full recipe…yours look PERFECT! I am off to buy the pan. I love making mini! It's guilt-free if you just get a luscious bite and satisfy the sweet tooth. I've used my pan a lot. You inspired me. I am making these for a Primary function tonight! And I just scoured our town for a pan and found it at Sur La Table for the same price as Amazon. Woo hoo! Thanks Ashleigh! Holy cheesecake, you're speaking my language!!! Umm these look to DIE for. And I totally agree, miniature anything is always cute! How cool! I didn't know mini pans like that even existed! What do you use for the fruit toppings? These look great. 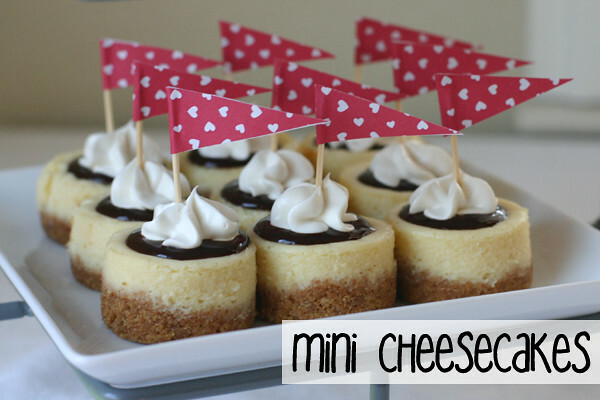 I want a mini cheesecake pan now! 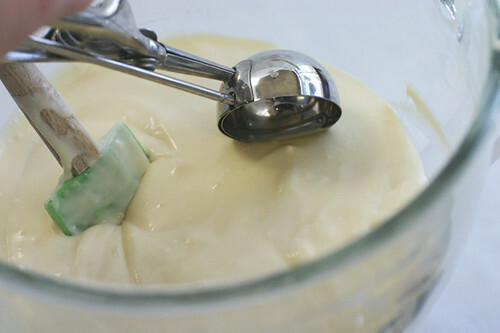 Would you be willing to share your cheesecake recipe? Cheesecake is one of my favorites. These mini ones are adorable! what kind of chocolate/caramel topping do you use?? Those look amazing. Would love to have your recipe! 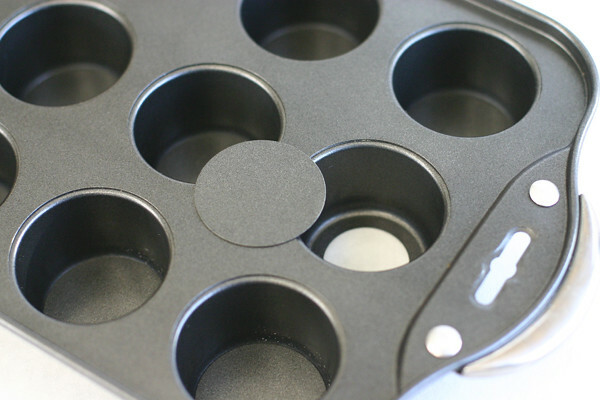 I just discovered your amazing, fabulous blog via Pinterest a few days ago and ordered two of these pans to make the magic happen. I can't wait! 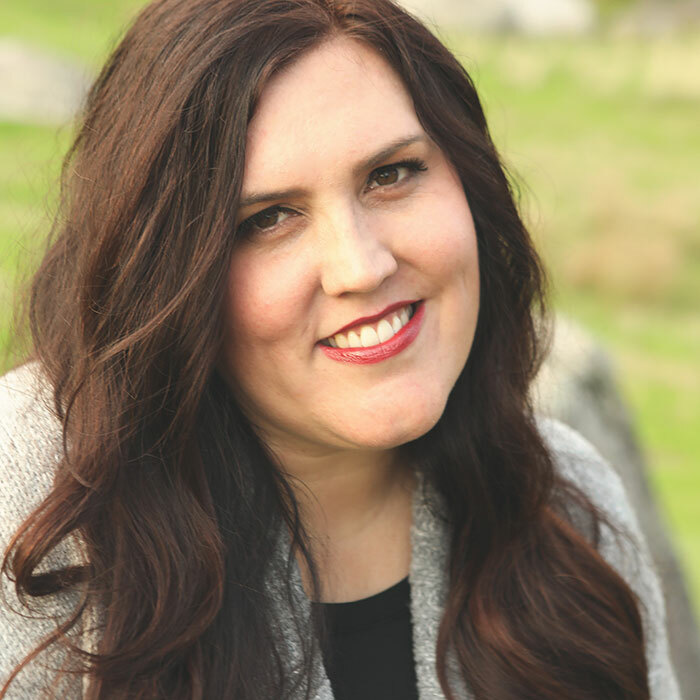 Thank you so much for sharing and inspiring me! 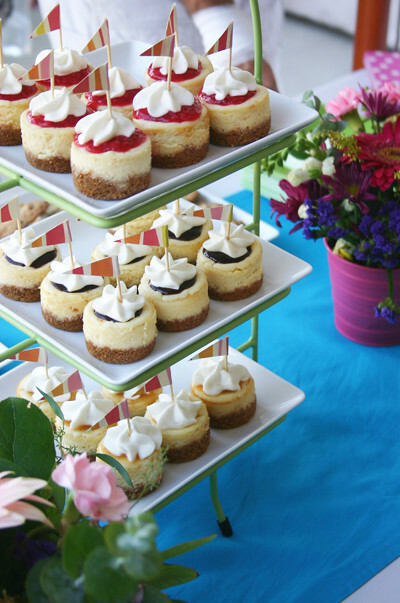 I'm gearing up for a homecoming party for my missionary daughter in a month and plan to make an assortment of mini cheesecakes, among other mouth-watering recipes that I've found on your awesome blog. Thanks so much Kelly! I think you'll like the pans. 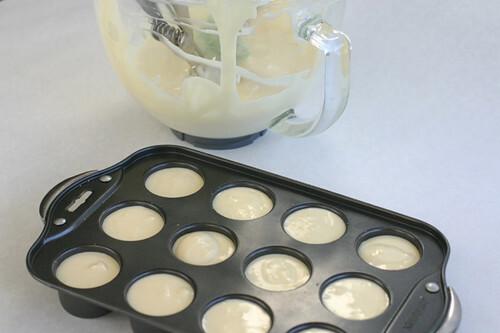 I've used mine for brownies and any other dessert I want in a cute round shape! Good luck with your homecoming party! I'm sure it will be a happy day! 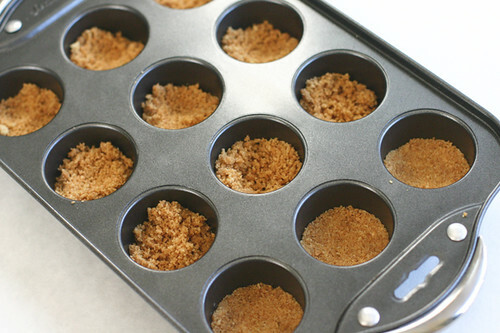 These look amazing, but I don't see what temperature you're supposed to bake them at. Is it 350 f. ?? ?